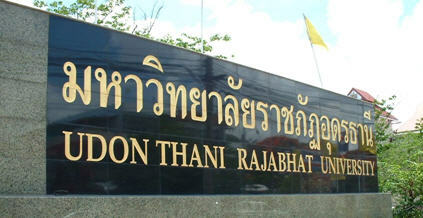 The main purpose of such a center is to provide the students of Udon Thani Rajabhat University in Thailand with a study resource that can be used independently by themselves whenever they wish. Language study and student autonomy should go hand in hand if a center like this is to be successful. In addition to reference books, resources include graded readers and CDs, magazines and newspapers, music, language games and activities, SpeaKIT computer software and teaching resources. This way, student learning can take place outside the language classroom. Furthermore, having a center such as this will encourage students to take part in out of hours’ activities such as debating classes and film shows as well as being a meeting place for discussion groups and conversation classes. The facilities are by no means state of the art, as we do not have the same funding as an institution like Chulalongkorn University which has recently spent 400 million baht on a six storey building to house their Learning Center which contains banking, postal and internet services. However, some initial funding has been granted and so the preliminary stages have commenced and with the help of the Books for Thailand Foundation and some of the publishing companies like Macmillan and McGraw-Hill Education, students will start to use the Self Access Center this year. It is hoped that students will take advantage of this facility in order to use the learning resources that are on offer to increase their reading, writing, listening and speaking skills as well as vocabulary and grammar. Teachers will also find resources to help with lesson planning, teaching the four skills and supplementary materials to help with lesson preparation and practice. After what has seemed like years of waiting, the sound of furniture being moved was heard from the empty Self Access Center, most probably due to the financial year coming to an end and the need to have the money spent before it is reclaimed and lost forever. Hopefully, I will be able to use some of the resources next semester. Check out pictures of our Self Access Center in the Steve's English Zone photo gallery. It has taken yet another year before we have been able to have the official opening by The President of Udon Thani Rajabhat University. I have managed to encourage my BEd English 3/2 class to use the facilities on offer by incorporating the reading of graded readers and the watching of films in English with English subtitles into their course requirements. Recently, when the university was being used for entrance examinations and our classes were cancelled, this class was able to conduct their normal presentation activities in the Self Access Center without any trauma. It just goes to show how flexible and adaptable these students are if you give them the chance to show you what they can do.